The two areas we will cover today may be the most robust couple of things a leader must do. They are perhaps the most difficult because they all involve personal sacrifice. I often wonder if the reason members struggle with Jesus call of “take up your cross and follow me” is because we don’t see sacrifice modeled. It is possible this illustration will be eye-opening. Now I am not suggesting we worship in a plain box, but I wonder if leaders struggle with a similar issue. We want to lead our people, but the qualities we need to model them get lost in the glitz and glamour. You must sometimes be willing to sacrifice personal interests for the good of the group. You must be willing to say no at times, even when you’d like to say yes. “During World War II, Winston Churchill was forced to make a painful choice. The British secret service had broken the Nazi code and informed Churchill that the Germans were going to bomb Coventry. He had two alternatives: (1) evacuate the citizens and save hundreds of lives at the expense of indicating to the Germans that the code was broken; or (2) take no action, which would kill hundreds but keep the information flowing and possibly save many more lives. Churchill had to choose and followed the second course.” Klyne Snodgrass, Between Two Truths – Living with Biblical Tensions, 1990, Zondervan Publishing House, p. 179. One of the most challenging things about leadership is you can’t explain your actions. You have information others don’t, and they love to judge your decisions based on the limited knowledge they have. As a leader, you need to have the courage of your convictions to say no even when you want to say yes because you know that say to yes will do harm to the body of Christ, or a Christian brother, or sister. Saying yes may save you pain in the short-term but may do damage to the community in the long run. As I have said all along leadership is not for cowards. Leadership is not for those who need to be liked. Leading is tough, thankless, involves profound personal sacrifices, but so rare, and essential to accomplish the most significant mission ever given. 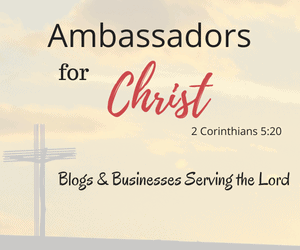 We are Christ’s Ambassadors; we are His witnesses, we are His disciples, given the assignment to proclaim the gospel to an unconnected and broken world. If you like this share it. It is greatly appreciated. One of the hardest things I find myself having to do is just shutting up and taking the hits…..
What an insightful and courageous way to view leadership! Sounds like an interesting paper. Thanks for responding. This is just excellent + very thoughtful. Thx for posting! Wow! Such an interesting perspective and I agree! As leaders we have to sacrifice and we can not worry about explaining our every action or decision because someone will always have something to say and question you! We just have to stand firm in what we know to be right in the Lord…While being a leader may be difficult at times, Jesus is indeed the perfect example!…God bless you for sharing! Great examples of how leadership can be difficult. Good thing God stands behind us and lifts us up.